The $100 Razer Nabu smartband never quite made it to market—unless you count a few thousand early adopter pre-orders here and there. 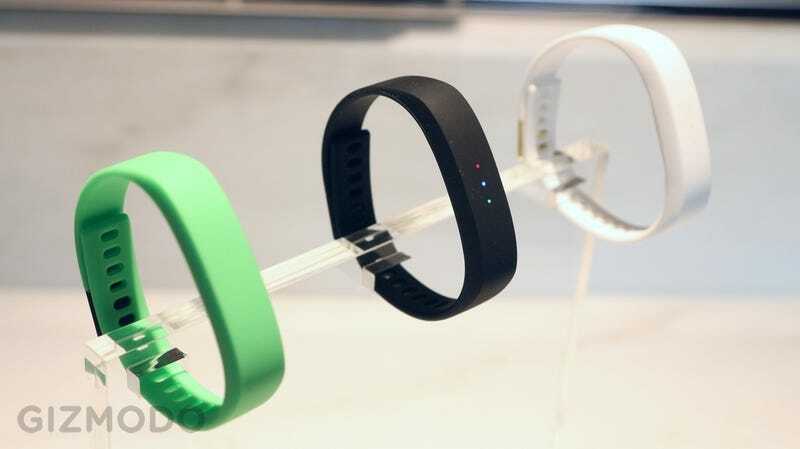 But Razer's already taking the wraps off a cheaper alternative: the $50 Nabu X. Long story short, the Nabu X ditches the screens for three red, green and blue LEDs, and the fancy design for much a cheaper, generic-fitness-tracker look with a clasp. It's just boring. Razer actually already quietly nixed one of the two screens in the full-price Nabu, which I guess I understand, but I expected a bit more style from Razer even in a cheap band. Nonetheless, it still sounds like a pretty cool wristable, as wristables go. The Nabu X will still be able to alert you to smartphone notifications by flashing colored patterns with those three LEDs, which you can customize quite a bit with a companion app. (The lights can also tell you how close you are to your step goal.) It still does active sleep tracking, claims 5-7 days of battery life, and enough water resistance to dunk (but not swim). The coolest feature, though, is still the Nabu's ability to detect other nearby Nabu wristbands. Razer says you can high-five another person with a Nabu to automatically exchange contact info, though I didn't get to try that myself, and the company's working on an app that can let you automatically see other Steam gamers wearing the Nabu in the same room as you. Like the original Nabu, the rollout's going to be staggered a bit: the Nabu X will be available to Razer insiders for $20 on January 13th, and for everybody else in the spring. Reps say it'll be available alongside the regular $100 Nabu, just as soon as they can get production sorted.